The Arnold is an Australian Moro variety. The fruit is small to medium in size and round to slightly oblong in shape. 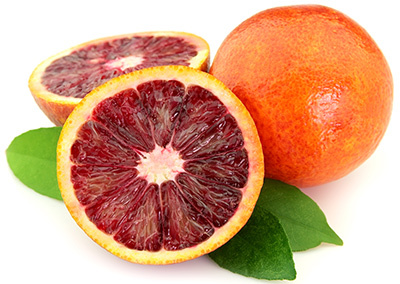 Externally, the skin of the blood orange is bright orange, tinged with a deep red blush. Internally, the Arnold presents a soft and delicious flesh, a traditional citrus taste with strawberry and cherry undertones. The attractive colour of the flesh boasts deep-red pigmentation. The Arnold has many nutritional values. A good source of vitamin C, antioxidants, potassium, folate and dietary fibre. The juice of an Arnold is loaded with powerful phtyo-chemical anthocyanins.